LOL @MocaJava tighty whities are always attractive. Sorry you couldn't use him, but yay for adopting. I admit I've done that only like once, a long time ago in one of my failed for fun plays. Yes I would save that aspiration for last if I were you. That one was a pain in the rear. 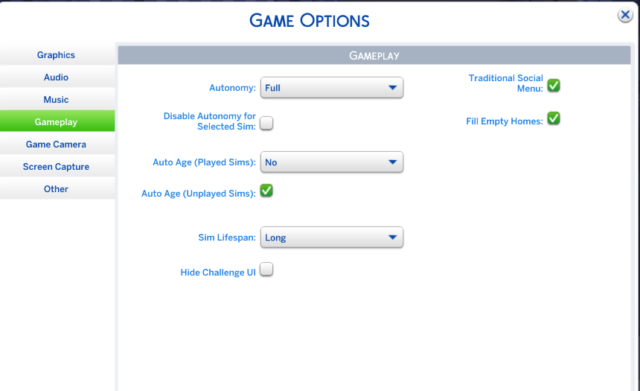 @NewToTheSims I agree with you and I wouldn't use any poses in Sims 4 in fact I won't do any kind of a story in Sims 4 just commentary on my drifter challenge. Even my GS iron woman I just update over here without blogging. I haven't actually had the time to play Sims 4 recently so I haven't tried either pack I bought but I will soon enough. I agree there should be a new sale coming up pretty soon and I figure I might get another stuff pack at that time. I'm just not sure which one to get next. No problem on the comments whenever you can get to them. I think I'm caught up on Echos now. @Jazen I have a feeling that @Vuneca is right and the postcards are probably easier for that aspiration. I do think it best if you start her collecting items here and there while working on the other aspiration might lighten the burden when you get to that one as you will have a good dent in it finished already. @MocaJava Welcome to Going Solo and I am looking forward to following your challenge. As @Jazen has said I have had many werewolves in my game and I already finished the Leader of the Pack ltw. Werewolves have a hard time sleeping while in wolf form and they never get their bar fully green on a full moon. To help I usually get them the Mediative Sleep ltr, use Potent Invigorating Elixir or make Sleep Elixir from the potion table. I sent you a Sims 3 Friends Request so I can gift you some Potent Invigorating Elixir if you need it. Werewolves do not need a job because the money you can make by cutting the gems/stones that they collect and than consigning them is a goldmine especially if you set out the Tiberium and the Tiberium dust to grow into large spears. IMO Werewolves are the best way to make a fortune quick in game and I've done it more times than I can count. If he is in wolf form he won't be able to get her pregnant. My advice is to add him temporarily to the household so you can take him out of wolf form, get her pregnant and move him out. You can adjust the family funds back if he adds any to the household afterwards. I also recommend shutting off the full moon when she becomes pregnant. She won't be able to transform due to the new life inside but the game glitches sometimes when a pregnant sim cannot transform on a full moon. @jazen Awww LOL, sorry you're behind. It really is a challenge, haha. I think I have half my sets built, the first half, so I might take a break from that, but I really hope I don't do that thing where I give up halfway through LOL. Bad habits, I swear. I wrote some more Proposal, but I have to play the save to get the next portion of the chapter. *rubs hands together* Hahaha. My birthday is coming up next week too, so that's exciting. @Piazzagirl1015 Agreed about TS4, 100%. Haha. I did have fun with the Get to Work expansion at least, it was fun going with my Sim to work and making him do stuff that was on his to do list. Yeah, I have no idea which expansion I would get. I like cities, so I thought about City Living. But at the same time apartments are so tiny and they seemed to say that like it was a good thing? I don't even know. Haha. Kitchen Stuff is cool I suppose, cause more decorations are always nice, especially since they took away Create a Style. *pouty face* All I can say is I am really glad I have both Sims 3 and Sims 4, that way I can still write with Sims 3, and use Sims 4 for when I just want to kill some time. @Piazzagirl1015 Accepted your friend request! Thanks for all the werewolf advice. I think I'll just drop the job and spend her time hunting. Already expanded the house quite a bit from the stuff she's found in her spare time. Here's Kate with her adopted daughter, Kaela. Hey everyone, I have a Proposal update I managed to squeeze in. I really wanted to get to the semi finals LOL. This chapter is pretty short, and the next one will be as well, but final two will probably be a little longer since I'm going to make them go on individual dates again. Episode Seventeen: Is Giovanni a Priority? @Piazzagirl1015 Well, at first I didn't They both died of old age, even after I thought I'd fixed it. I eventually figured out that I can stop the entire town from ageing and only have my played household age normally. There's an option in the... options... menu. I believe you've found it? That stops them from ageing, but no one else in the town ages, either -.- It's essentially TS2 again. I do hope someone comes up with a mod to fix that soon. Hello everybody! 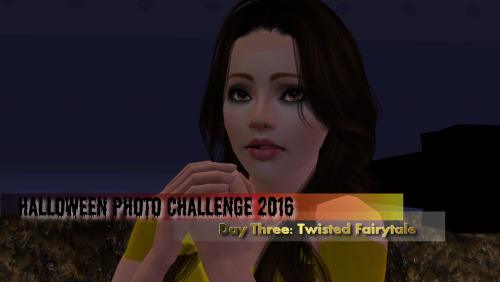 It is October now, and I kicked off my attempt at the Halloween Photo Challenge! 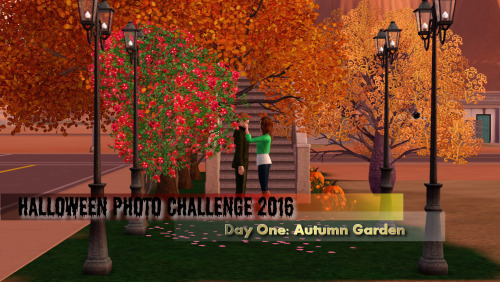 Day One is Autumn Garden. You can see the rest of the pictures at the link below. Hi again! I'm back with Day 2 of the Halloween challenge. This one took quite a bit more editing, but I love how it turned out. Enjoy! @Piazzagirl1015 so glad we have a resident werewolf specialist! I didn't realize half of what you said (though now it all makes total sense) and I have been playing with them for years! 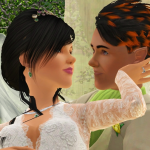 @NewToTheSims your pictures look great! @jazen sorry to hear about your car. Any chance your boss can reimburse you since you parked where she told you to? @Vuneca I will keep your son in my thoughts. I'm sorry he has to go through all that. The Drifter challenge really is interesting and @vihisha is a very nice person. While Kaela shredded on the half pipe! Basically just trying to complete leader of the pack...hopefully it will be a bit easier now that Kaela is older, I've had horrible luck with babysitters so far. @Vuneca I'm keeping your son in my thoughts, also. I'm so sorry your family is being put through so much this year, but it sounds like he's doing brilliantly! I saw your comment on 7Fates, thank you for reading Good luck catching up with my rainbowcy! There's a lot to get through, and I can't remember where you stopped..
@MocaJava I love that you've gone with the adoption route, none of us have tried that yet for this challenge. My sims don't usually adopt anyway, so that'll be new to me when I eventually try it. @NewToTheSims Woot woot! Your pictures look great! 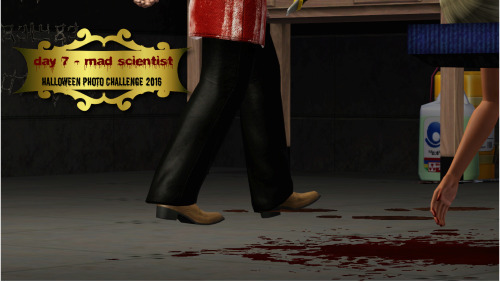 Hi everyone, I have Day 3's Halloween post up, click the link below if you want to check it out. @Vuneca Hey thank you! Sorry about your son. Best wishes to you and him for dealing with all of that. @MischiefTheKitten Hello! Haha, thank you. @Vuneca **bear hugs** to you and your son. Sending tons of prayers and well wishes towards him. That sounds positively scary so I am hoping he pulls through it all like a champ! He always has a smile on his face when you post on FB so that is promising for sure. Sadly no, my boss did not reimburse me the fees. If I work that festival next year, I know better where to and where not to park. Yes, I heard about the drama about the simgurudrake on tumblr. Crazy how things are right now because they are being called out on the short coming of the game. People are frustrated and as a representative of the company, she really puts EA in a worse light with how the talks to and about the community. I agree on not paying full price for the stuff. I wait for sales for everything because it's not worth it to me otherwise. S3 is still my #1 choice of game. @MocaJava Kaela looks like she aged up into a very cute little girl. @MischiefTheKitten good luck with finishing up your rainbowcy. Since I know you're on a mission to get it done, I'm gonna wait and read all the updates when it's finished. That way if you have any cliffhanger chapters I don't have to wait for the next one to be released. So I've been slacking on updating. I have one ready to go and another that needs shots. I've been getting a little writing here and there done as I try to get Matt's gen wrapped up. He still has a long way to go, but he's getting there. The past week has been hectic for me so I had very little spare time. It's early October and Halloween is not even close but of course I have to decorate several Christmas trees. We usually have about 25-30 different Christmas trees on display and all have to be decorated so I have been working 12 hour shifts. This is the one time of the year not during Christmas season that I get OT pay but its a lot of work. I am getting three days off this week the first of which is tomorrow and tonight I'm only working 5 hours which feels like a vacation day at this point. At least I have time to catch up here. In Sim 3 I would have had the chair cushion, rug and curtains in the same color but that was the closest I was able to do with the color options allowed to me. 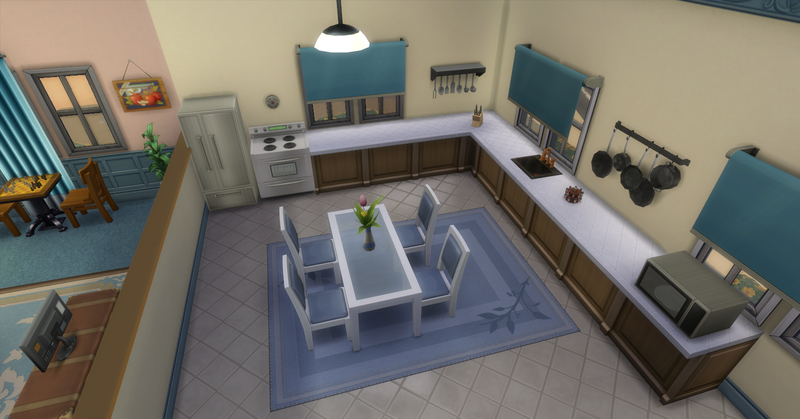 I'm hoping now that I have the kitchen stuff pack that I will have more kitchen curtains to work with. @MocaJava I haven't been in game recently but I should be loading the game up to play my baby challenge before I go to work today. I'll send you over a potent invigorating elixir and I'll be sending some procreation elixir to @jazen and @MischiefTheKitten for their baby mamas. I see that you found out how much money you can make with a werewolf as they are so easy to play. There is another reason why its best on leader of the pack not to do a career. That ltw does not have a career attached to it but other ltw's do. All of us have made the mistake of using a career that is tied to a ltw so its best that you be aware of this right from the beginning. When I did that one I made my heir a Rock Star but Rock Star is one of the ltw so now I have to wait until I finish all the careers to do that ltw. Kaela is adorable and @Vuneca is correct you are the first to use the adoption option in the rules. I look forward to watching her grow up. Its understandable that you want to finish your rainbowcy before going forward with the new stories and I look forward to seeing how you end up the story even though I will miss the family. I still need to catch up with one of your updates I believe. @Vuneca My heart goes out to you during this stressful time and I will be keeping your son along with your whole family in my prayers. I didn't even know that there was any drama with Sim Guru Drake but I do agree with you that EA is money grubbing company. I will be waiting for a bargain price for any new EPs on Sims 4 which tells a big story about the game since I used to preorder everything to have it on launch day now I wait. I have been doing a drifter challenge also and I'm having fun with it. I went back to see which word wasn't plummed out but I guess they caught up to it. Which word was it? I like the drifter challenge, it's something to play when I have a few mins of free time. I def got bored during house 005. It took forever to get both sims to the top of the painter career. One literally died the day she reached the top. Phew! Thank you all for your thoughts and prayers. The stress is definitely getting to me more and more as the treatment progresses. He is a feisty little thing and is doing far better than I would do in his place. @Vuneca *Hugs* We are all here for you whenever you need us for support and we will continue to pray for you and your family. Oh Wow you got far on the Drifter challenge. I'm just starting house #2 and I was going to put her in the painter career until I read you message. I'll have to change to music instead. She rolled creative as a trait and is getting wants for both painting and instruments. I can relate to everything you just said. When Sims 3 came out I wasn't ready to leave Sims 2 either and I didn't want to leave it but once I did I couldn't go back. When they gave us the entire Sims 2 ultimate collection right before Sims 4 came out I loaded sims 2 and realized I forgot how to play. 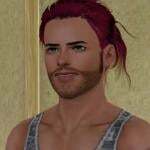 I don't see Sims 4 taking Sims 3 place for me ever but you just gave me a lot to think about. 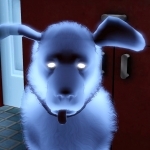 There are plenty of things I miss from Sims 2 and some of them are simple like the crossword puzzle from the paper helping skill logic, kicky ball raising a relationship score, poker tables (card tables are back in Sims 4) and the Smart Milk for the babies. Most of all my favorite EP of all time was Out for Business, that is back in Sims 4 but I haven't tried it yet. @jazen I realized that I have not bought anything TS4 at full price, after you mentioned what you did in your post. LOL. So. I second that you said. Sales are the best for TS4 stuff. @Vuneca Hang in there. You can do it! I guess I don't know what the drifter challenge is, not that I need any more challenges to do. LOL. @Piazzagirl1015 that is crazy you are spending all those hours putting up Christmas trees and we are only in October. Hope you enjoy your days off. I agree with LKS, the kitchen looks great. I do understand your frustrations. They should have the same color tones for each item so that people can match. I don't know why they didn't think about that when they took away create-a-style. @Vuneca I'm glad he's keeping his spirits up about all of this. LOL you aren't the only one that forgot how to play S2. When they gave out the ultimate collection I loaded it up and was lost as to where to go from there. LOL It was crazy. On top of that I had issues with my graphics in that game. All my sims had this weird black shadow box under them. I think it's hard to keep the needs filled in S4. Or maybe it's just me. It takes them so long to do everything (eat, bath, etc) because they always want to multitask. @NewToTheSims Happy belated birthday. Hope you had a great day and I hope you enjoy the concert tonight Yep, getting S4 stuff on sale is the only way to go. I do play the game now, but it's still not worth full price to me. @jazen Thanks for the birthday wishes, and yes I had fun at the concert. It was the first one I had ever been to, and it was Carrie Underwood. I find that starting TS4 is one of the most painful things on the face of the planet. I have to remember to turn stuff on after it's updated 979878 things, and then, I always have to restart at least twice because something is always wrong before I play, usually in the form of my CC hasn't been loaded with the opening of the game because the update always makes that happen. So infuriating. LOL. There's also a thing where I feel like the TS4 Sims take so much longer to up their skills because they're always distracted, like when you tell them to go read a book they read 2 pages, then sit there, close the book, smile at the sky for 5 years, and then open it again to read 2 more pages. I really hate the embarrassed emotion too because if they play any instrument with low skill with someone else in the house, you can't up their music skill because they just get embarrassed after 2 seconds, and then go crawl in the bed and hide. Makes me want to punch them. LOL. 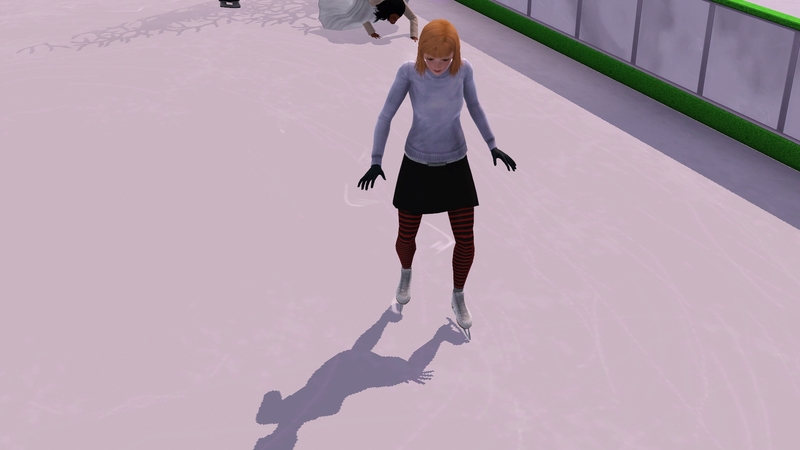 You know what, sometimes I forget how to play TS3, LOL, and that's the one I play normally, so it's not even a problem that you forgot how to play TS2 while you were playing it normally. @NewToTheSims Glad you enjoyed your concert last night. I was at one too, but working. LOL Not the same level of enjoyment there. I haven't loaded S4 in weeks. I'm sure I have an update or 20 waiting for me when I do. They do take forever do to some things for the reasons you described. It's crazy how they can't just focus and get it done. Hi everybody. Here's the link to Day 8. 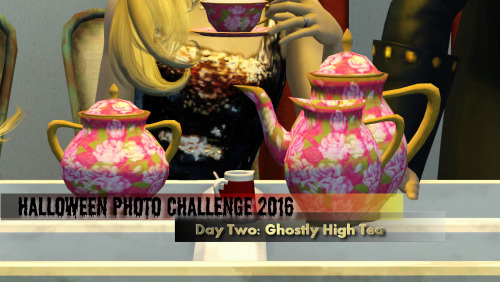 I just realized the picture is wrong and it still says day 7. I should go in and fix that. LOL. @jazen Haha, aww, sorry you had to work. XD Thank you! I had so much fun with yesterday's prompt, hehehe. LOL, your son's comment. Just cause you're a mom doesn't mean you can't still have disturbing thoughts, right? LOL. Yeah, I just remembered there's that sugar skull challenge thing on TS4 that I had Glasgow start but then I'm not sure I'm in a hurry to finish haha, it peaked my curiosity for like 5 seconds and when I found one, I was like, ok. I'm way more focused on just getting the prompts done. XD They're too much fun. LOL it's like the TS4 Sims have ADD or something. @NewToTheSims yeah I work, but it's not all bad. Sometimes I get to see people I actually like a little. I'll be going to a concert in a few weeks for pleasure with my daughter so that should be fun. I've not loaded S4 in weeks. Been trying to get my Halloween shots done mostly and not doing much playing lately. Need to do better since I have shots I need to do for ALG. New update for As Life Goes and 3rd birthday anniversary post for the story. Lydia is doing her best to adjust to her new job and the unusual situation that landed her there. Hello everyone, I've been doing the prompts still, keeping up so far. I've made it halfway through the month and I even worked on some more pictures for Echoes of Eternity the other day. Here are the links to the prompts I've done so far. @NewToTheSims I would like to wish you a belated (very belated sorry) Happy Birthday and I do hope that you enjoyed the concert. Thank you on the kitchen. I really do miss the create a style so much in Sims 4 as I'm running into the same problem with house 2. I think I could have understood the patterns being gone but we should be able to have everything available in every color implemented into the game. At first I didn't enjoy the University pack but now it has sort of grown on me. There are still times that I do fast forward my sim through uni which is what I did with Trevor and Carissa but there are other times that I do play them through the features. In Sims 2 I wasn't a fan of university but that pack had great music. Hopefully if we get a university pack for Sims 4 it will be a good one. @Jazen Congrats on the third anniversary of ALG! I read the updated and commented. The Christmas trees are all up now but now they gave me another project to work on displaying different types of decorations, a new gift set section along with hiring new cashiers and training them for Christmas. It looks like my exhausting holiday hours are starting early this year. At least I will get overtime pay for all this. In Sims 4 I'm having trouble with the multitasking too as it takes forever for them to do one thing while they are trying to eat or something else. I'm also having a problem if the kid is doing homework and someone tries to chat with them it shuts the whole house down. I think they really missed the mark with the multitasking. To both @Jazen and @NewToTheSims I love the work that you are doing on the Halloween pictures as each and every picture is better than the last. Hi everyone, I've been continuing to post those Halloween prompts. There are a few more I've linked below. @Piazzagirl1015 Hello! Thanks for the birthday wishes! I did enjoy the concert, it was really fun. Then afterwards, I bought a shirt and a necklace to remember it by. LOL. Haha, I am glad you are enjoying the Halloween pictures. It's been really fun doing them.